Books must be published between January 1 and December 31, 2018. Both the author and illustrator (if applicable) must be Canadian citizens or permanent residents of Canada (who have resided in Canada for at least two years). Books may be published in Canada or abroad. Books must be first foreign or first Canadian editions. New editions or re-issues of previously published titles are not eligible for submission. The book should be aimed at young readers aged eight to 18 years old. Translations are eligible, provided the translator is a Canadian citizen or permanent resident of Canada (who has resided in Canada for at least two years). 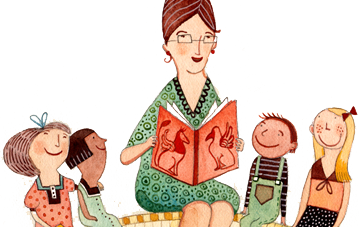 Picture books are not eligible. Novels involving fantasy, supernatural or science-fiction plots (e.g., ghosts, time travel, etc.) are permissible provided they don’t “cheat” the mystery (i.e., the mystery is not solved by these elements). Short story collections by more than one author are not eligible. Stories must be original (i.e., not a retelling of an already published mystery for adults). Books written as part of a series or published in serial form will be judged as separate entries and must be able to ‘stand-alone’. The award is only for books in the printed format, as distinct from digital (i.e., eBooks) and audio visual formats. Books in manuscript form are not eligible. All books must have an ISBN and be distributed in Canada. Self-published books are eligible for submission provided they have a valid ISBN. 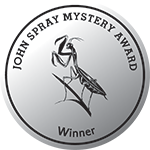 The award honours excellence in the mystery book genre. A mystery book can be a thriller, a crime novel or a ‘whodunit’. The book must be of high literary quality with the story having a logical and predetermined endpoint. Storyline must be plausible, well-researched and filled with tension and suspense. The story must have well-developed characters whose actions are consistent with their personalities. If you have any questions regarding eligibility or the award in general, please contact Meghan Howe at 416.975.0010 ext. 222 or meghan@bookcentre.ca. For the full list of finalists and winners, please click here. 2018 Eileen Cook. The Hanging Girl. Boston: Houghlin Mifflin Harcourt, 2017. 2017 Caroline Pignat. Shooter. Toronto: Razorbill Canada, 2016. 2016 Kevin Sands. The Blackthorn Key. New York: Aladdin, 2015. 2015 William Bell. Julian. Toronto: Doubleday Canada, 2014. 2014 Ted Staunton. Who I’m Not. Victoria: Orca Book Publishers, 2013. 2013 Elizabeth Stewart. The Lynching of Louie Sam. Toronto: Annick Press, 2012. 2012 Rob Mills. Charlie’s Key. Victoria: Orca Book Publishers, 2011. 2011 Y.S. Lee. A Spy in the House. Somerville, MA: Candlewick Press, 2010.